This week, AWS Learning brings you the second half of our chat with Chandler Vincent, one of the most skilled and decorated welders on the planet. During our conversation, we picked his brain on the life-changing influence of SkillsUSA, his borderline maniacal passion for welding, and his thoughts on what the future of welding looks like. If you didn’t catch the first part of our conversation with Chandler, you can get up to speed here. AWS Learning: Do you think your story is unique, or do you think it’s common for people to stumble into welding and find a passion for it through education? Chandler Vincent: In some respects, my story is unique, and in others, absolutely not. SkillsUSA is promoting an advancement in the trades and training young people with the skills for the jobs of the future. So, you get into SkillsUSA and you do see kids that are inspired in the things that they do and the things they’ve learned. I’ve seen hundreds and hundreds of kids turn their life around for the better because of SkillsUSA. It’s good because they can look up to someone like me or the people I looked up to before me, and they can see the future and see what you can do. And they have the right opportunities and connections with people to help them get better. It’s a great environment for our youth. 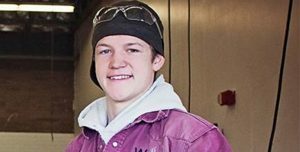 AWSL: Apart from [your high school welding instructor] Kevin Mitchell, did you learn welding in any other way? For example, many students watch YouTube videos to supplement their formal education. CV: I did watch a little bit of YouTube, like “Welding Tips & Tricks,” but where I learned most of my stuff from my college professor. His name is Mason Winters. I got a 2-year degree in Welding from Utah State. After I was chosen to be a US representative, I had a chance to work with a welding expert, Ray Connolly, and that’s where I received the very advanced training to get me to place at the world level. It was phenomenal! AWSL: When you were going through the advanced and more rigorous training, was there ever a moment where you learned something or saw something that, even though you’ve been doing this a long time, made you say “Whoa! That’s new”? CV: Oh yeah! Especially when I was travelling. I got to travel to Australia, Abu Dhabi, the Middle East, and I got to train and weld against the best people from every country in the world. We all had projects and standards and blueprints that we had to weld to, but not a single one of us did it the same way. We all had our own style, our own signature work that you could tell came from a certain person. So, every welder would amaze me with how they did it. For example, the Chinese, they do everything we would do, but they do it on the ground. They wouldn’t use any workbenches or chairs. The beautiful thing about welding, and what I love so much, is that even to this day, running the business, doing work, you’re always learning something new. You’re studying different definitions, and the arc and the weld pool, the way liquid metal flows, and what metals bond with other metals, and what they look like when you’re doing it properly. That’s one of my favorite things about welding: there’s always, always something new to learn. AWSL: Is there anything about welding that’s not exactly your favorite thing? Maybe a process or material that you’re not that good with? Or maybe the administrative work that comes with running a business? CV: No, I love it all. I absolutely hate when I can’t do it and when I’m not doing it. AWSL: Have you ever been hurt doing it? CV: I’ve had a lot of burns. I’ve worked myself to the point of hospitalization. I was so into it, and I’d get so deep into the training and enjoy it so much that I’d forget to eat or sleep. I was just focused on what I was doing. AWSL: That’s intense! Is there something you haven’t done yet, something you’re looking forward to doing or learning? A new process? Traveling someplace? Building something? Working with someone? CV: I look forward to doing more research with Lincoln Electric, and helping them build new welding programs and develop new welding processes. I’m also interested in going more in-depth into what we know and figuring out new ways to do things. I’m always, always excited to work with new people and learn what they know because everybody’s had their own experiences in life and have had different failures that they’ve learned from. Nobody has the same story, so I really enjoy learning from new people. AWSL: You’re young and have so much first-hand experience in the industry. What are some trends, either technological or otherwise, that you expect to see in the near future? CV: The biggest trend that I see is the lack of welders we have in the United States. We have a big skills gap, and I can’t find anybody to weld for me. AWSL: That’s really unfortunate. We’ve written about that exact issue before. Thanks for taking the time to sit down with us, and for doing the things you do to combat the skills gap. It’s been a pleasure, Chandler. We hope you enjoyed this interview! If you know a student or industry professional that you think we should interview, let us know! We’re always looking to shine light on the remarkable people that make up our industry.